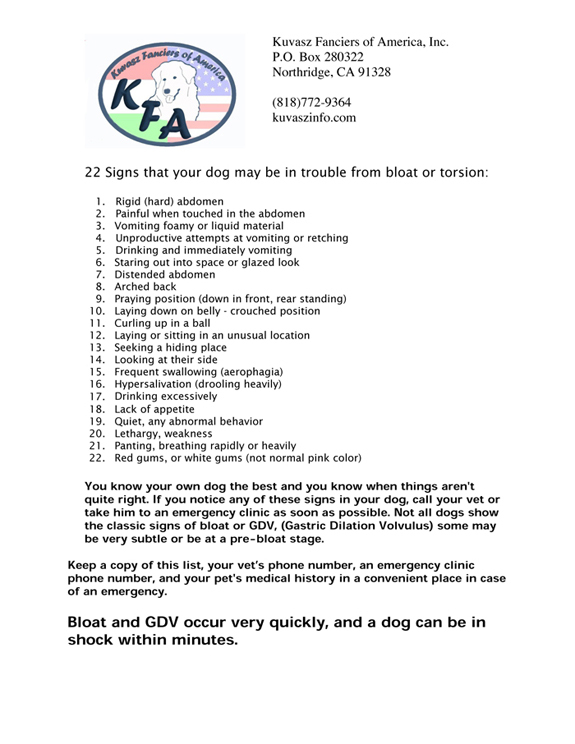 22 Signs of Bloat | Kuvasz Fanciers of America, Inc. Please read the comments by the uploader of the video to learn how it came about. If your Club or Kennel would like this handout as a .doc formatted to add your own logo, we are happy to share, just ask.